Mass-Care is saddened by the news that our longtime friend and mentor Rashi Fein passed away on September 8, 2014 at the age of 88 from melanoma. Dr. Fein was a solid supporter of Mass-Care since its founding in 1995. He was a speaker at many events and his writing and his teaching kept generations of Single Payer advocates armed with facts and inspired by his steadfast belief that we can achieve a just health care system if we can generate the political will. As he wrote in his book “The Health Care Mess” in 2005, “Universal health insurance, access, and promotion of health are more than matters of health policy. In a fundamental sense they are matters of social policy and require a social revolution”. Mass-Care is a leader in the current social revolution over income disparity and inequality of opportunity. The goal of this movement is to galvanize a huge coalition of people from all segments of society to bring about progressive policy changes including a universal health care system. Dr. Fein was a giant in his field of healthcare economics. Throughout his professional life he pursued his conviction that achieving a national healthcare system was the best way to provide affordable quality care for everyone. His core belief in equality and fairness was at the center of his goal for universal health care. He was instrumental in laying the groundwork for the passage of Medicare and Medicaid through his writings, personal contacts, and his work on various commissions under the administrations of President Truman, President Kennedy, and President Lyndon Johnson. It was a major disappointment for him that the passage of Medicare did not lead to further legislation calling for Medicare for all. Dr. Fein received his doctorate in political economy in 1956 at John’s Hopkins and had a career teaching medical economics at several institutions including Chapel Hill, NC, and Harvard University. A former student of his who is now a Mass-Care activist had this to say about her student days under Dr. Fein’s tutelage. “Rashi, and we were encouraged to address him as Rashi, was always a most informative and compassionate teacher. No question was too simple for him. His passion for universal health care impressed many of us and helped to direct our careers. He was one in a million at the Harvard School of Public Health”. 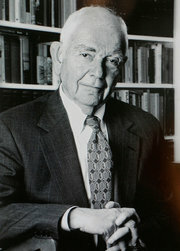 In addition to his teaching he worked on several presidential commissions on health economic policy, and he wrote many articles and published several books dealing with policies on healthcare including “Medical Care, Medical costs: The search for a Health Insurance Policy” 1986, “The Health Care Mess” co authored with Julius Richmond, MD in 2005, and “Learning Lessons: Medicine, Economics, and Public Policy” in 2010. Dr. Fein and his wife Ruth were married for 65 years and were a team for social justice. We send Ruth and their family our deepest condolences. For more details about Rashi Fein’s life please see the Boston Globe obituary from Sept. 11, 2014. ECONOMICS OF MENTAL ILLNESS—by Rashi Fein. Joint Commission on Mental Illness and Health, Monograph Series No. 2. Basic Books, Inc, New York. THE DOCTOR SHORTAGE. An Economic Diagnosis. RASHI FEIN. Washington, D. C., The Brookings Institution. 1967, 199 + xi pp. $2.50 (paperback). Rashi Fein, an influential economist who strove to bring ethical and humanitarian perspectives to the nation’s health care system and helped lay the intellectual groundwork forMedicare in the 1960s, died on Monday in Boston. He was 88. The cause was melanoma, his son Alan said. Dr. Fein, a proud liberal, regretted that Medicare did not apply to everyone, just as he was disappointed that Mr. Obama’s Affordable Care Act did not consolidate insurance payments under the federal government. A federal single-payer system, he maintained, would be more cost effective and inclusive. The Obama plan, passed by Congress, relies on private insurance. Mr. Fein was born in the Bronx on Feb. 6, 1926. His father, Isaac, was a history professor whose work took him to a chain of cities in the United States and Canada, including Winnipeg, Manitoba; and Bridgeport, Conn. His mother, the former Chaya Wertheim, was a schoolteacher. Mr. Fein’s son Alan said his father and his father’s younger brother, Leonard — who went on to found organizations to combat hunger — had gotten their zeal for social justice from their parents. After graduating from Central High School in Bridgeport, Dr. Fein was a Navy radar technician during World War II. He went on to earn a bachelor’s degree in economics and a doctorate in political economy from Johns Hopkins University. 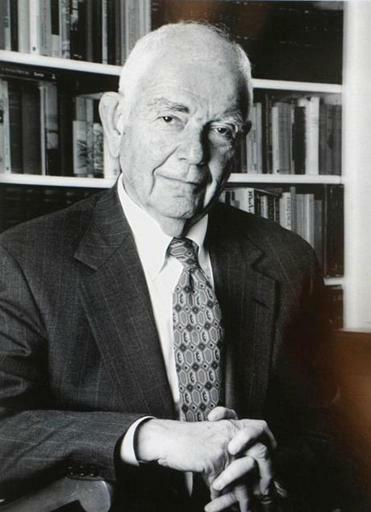 In 1952, he took a teaching post at the University of North Carolina at Chapel Hill, while working on a Truman administration commission charged with exploring the possibilities for national health insurance. Six years later, he led a study by the federal Joint Commission on Mental Illness and Health, which estimated that mental illness cost the United States $3 billion a year ($24.7 billion in today’s dollars) in treatment costs and lost work years, a small fraction of the estimated costs today. In 1961, Dr. Fein became a senior staff member on the Council of Economic Advisers under President John F. Kennedy. He studied education issues in addition to helping to write legislation for Medicare. He moved on to the Brookings Institution as a senior fellow in 1963 and remained with it while directing the Medicare panel for Johnson, Kennedy’s successor. After leaving Brookings, Dr. Fein was a professor of economics at the Kennedy School of Government and the Medical School of Harvard University. He retired in 1999. In addition to his son Alan, Dr. Fein is survived by his wife of 65 years, the former Ruth Judith Breslau; another son, Michael; a daughter, Karen Fein; and four grandchildren. Another daughter, Bena Fein, died in 1995. Dr. Fein’s brother, Leonard, died in August. Dr. Fein spoke of the importance of language in describing health care, deriding the term “death panels” that some opponents used in the debate over the Affordable Care Act. Dr. Rashi Fein was a tireless advocate of health care for all. Rashi Fein was one of the policy architects of Medicare and he remained a lifelong proponent of health care for all. His advocacy never wavered, from his time working for the Truman, Kennedy, and Johnson administrations on through his long tenure as a Harvard economist. His beliefs ran deeper than what could be accomplished in a political system that, in his view, seemed only willing to address the complexities of health care when access reached crisis levels, only to become gridlocked by the crisis itself. Dr. Fein, a professor emeritus of medical economics at Harvard Medical School who formerly served on the senior staff of President John F. Kennedy’s Council of Economic Advisers, died of melanoma Monday at Massachusetts General Hospital. He was 88 and lived in Boston. In August 1964, Dr. Fein wrote in “Medical Care, Medical Costs,” he and the other members of President Lyndon B. Johnson’s task force on health convened to consider the nation’s health care needs. While the proposals Dr. Fein and his task force colleagues crafted helped lead to the creation of Medicare, Johnson made clear that as president, he would do the political heavy lifting. “He reminded us that we were amateurs and he was the professional,” Dr. Fein recalled. Political strength may have turned Medicare into a reality, but through the years, Dr. Fein watched political paralysis thwart his hopes of turning Medicare into a steppingstone toward universal health care. At Harvard, he was sought out by politicians, pundits, and reporters at every turn in the health care debate, from the failed Clinton plan in the 1990s through President Obama’s Affordable Care Act, which fell short of Dr. Fein’s vision of building on his achievement of helping to create Medicare. Born in New York City, Rashi Fein was the older of two intellectually accomplished brothers. Leonard Fein of Watertown, who died in August, was an activist and influential writer about Jews and Judaism. Their father was a Jewish history professor whose work brought the family to several cities in the United States and Canada. Their mother taught in elementary schools. Dr. Fein graduated from high school in Bridgeport, Conn., where he also studied briefly at a community college before serving in the Navy at the end of World War II. After the war, he went to Johns Hopkins University in Baltimore, from which he graduated with a bachelor’s in economics in 1948 and a doctorate in political economy in 1956. By then he was teaching at the University of North Carolina at Chapel Hill. In 1949, he married Ruth Breslau, a graduate student at Johns Hopkins whom he met through Zionist youth organizations. The family moved to the Washington, D.C., area when Dr. Fein joined the Kennedy administration, and remained when he became a senior fellow at the Brookings Institution. In 1968, he took a faculty position at Harvard. For several years, beginning in the mid-1990s, he also chaired the Robert Wood Johnson Foundation’s National Advisory Committee for its Scholars in Health Policy Research program. He wrote several books, beginning with “Economics of Mental Illness” in 1958 and concluding with “Learning Lessons: Medicine, Economics, and Public Policy,” in 2010. A service was held Wednesday for Dr. Fein, who in addition to his wife, Ruth, and his son, Alan, leaves another son, Michael of Newton; a daughter, Karen of Sandwich; and four grandchildren. Dr. Fein, he said, skillfully mixed intellect with a common touch.